When it comes to today’s ATM consumers, convenience and efficiency are two of the most critical factors. Even though ATM services are widely used and valued by consumers, the actual ATM services are often neglected and not handled properly. The price of owning an ATM is continually increasing as technology is hitting the market, and new compliant standards continue to evolve. Furthermore, with the complexity of the transaction delivery channel amplifying over time, the industry is heading into a managed services environment to eliminate some of the hassles. You may not know it, but you need ATM managed services. 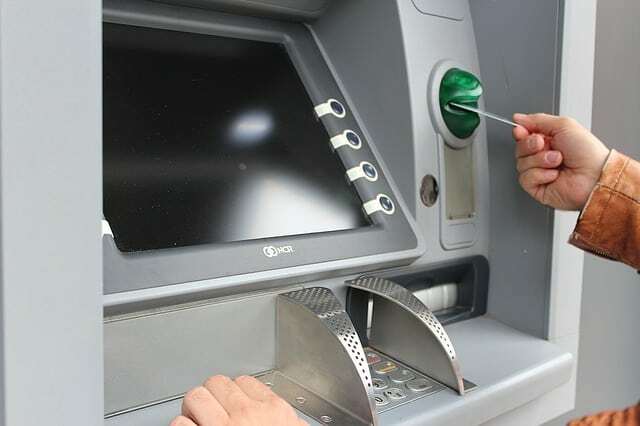 The convenience and location of a financial institution’s ATMs are one of the major factors that are considered when a consumer chooses a bank or credit union to manage their money through. We know that the ATM is one of the most important facets of your business. That’s why we offer managed services to benefit both you and your customers, minimizing down-time and allowing you to focus on gaining new customers. Automated Transaction Delivery offers ATM Managed Service options to take the headache, confusion and internal cost out of the Financial Institution’s transaction delivery requirements. These solutions, through single sourcing and consolidation can, in most cases, turn your ATM fleet from a cost center to a revenue generator. Using a Managed Service Provider to implement your solution will improve your transaction delivery quality, reduce your costs and maximize your technology investment. When you work with us, we’ll take the guess work out of owning or leasing a fleet, or even a single, ATM. You can’t rely on a machine to work 100% of the time. When your machine goes down, do you know who to call? Here at Automated Transaction Delivery, we know that an ATM is one of the most important facets of your business. We understand the need to help improve customer interactions, reduce operational and service costs, generate revenue, and improve the effectiveness of the self-service channel. Under a managed service agreement, Automated Transaction Delivery takes on the responsibility of the everyday functionality of your devices. If one of them goes down or there is a glitch, we’ll be there to help. When you outsource your ATM services with Automated Transaction Delivery, you receive top-rated quality at a reasonable price. Our company not only focuses on ATM fleet but also takes advantage of collective buying power, which reduces your operating costs. The way customers are interacting with financial institutions is going through a fundamental change. With the rapid increase of the internet, mobile devices, smartphones, tablets, and social media, branch banking is faced with challenges they haven’t seen before. Research on cardholder trends shows that banking institutions emphasize heavily on developing mobile applications and other banking tools. A lot of money goes into these digitally-enhanced strategies. Therefore, resources for managing your ATM services such as EMV, PCI-DSS compliance standards, ADA regulations, and other software programs can be very limited at times. If you didn’t have to worry about all the logistics of dealing with ATM management, your institution could focus on developing its programs and attracting new customers. Ensuring top-quality financial services to our customers is instrumental at Automated Transaction Delivery. Even though ATM’s play a big factor in customer satisfaction, it’s just one part of a financial institution’s customer service. Managing your ATM service shouldn’t have to be a burden on your staff. By outsourcing your services to Automated Transaction Delivery, your team can focus on what matters, which is giving their best customer service. ATM fraud has been costing the U.S. an estimated $1 billion and with new regulations for EMV and PCI deadlines. Nowadays, an improved ATM security and regulatory compliance is more crucial than ever. A benefit of outsourcing your services through our company is keeping your ATM’s PCI-DSS compliant, which has posed a real challenge for many financial institutions. Also, there have been new viruses, malware, and targeted attacks on ATM channels; so using our services allows you to focus on your primary business function and leave the management of the ATM channel to the experts at Automated Transaction Delivery. We have in place the necessary technical experts, equipment, and parts to be able to offer immediate responses if a problem arises. Our managed service agreements are flexible in order to cover what you need. We specialize in being able to come in and take over any service related to ATMs and cash handling so you don’t have to deal with multiple vendors. From the machines and the network to the armored car service, we do it all. One trusted company, one bill to pay. Don’t get stuck paying a technician an hourly fee when your machine breaks down or requires a software update. Under a managed service agreement, we’ll take care of everything for one low monthly fee.